As unbelievable as the title may sound, it's true that you can find some useful gear for paintballing at the Dollar Store. I took a trip to my local Dollarama and picked up some items to show you just what a treasure trove the place can be for a MilSim paintball player on a budget. For starters, and considering winter's coming up FAST, let's look at the winter gear I found. Here's a pair of fleece gloves in woodland camo, nice and toasty (and also nicely priced) at $1.25. There were also fleece tuques (that's beanies or skullcaps for you non-Canadians), as well as fleece scarves in woodland camouflage. Not to mention that there are cold weather socks, underwear, and other goodies (like Hot Paws hand-warming packs near the cash register), all at $1 or $1.25. Ok so that's it for the winter gear. For those of you who choose to stay indoors this winter (and I don't blame you! ), the rest of this post will deal with items that are good for paintballing in nicer weather (or indoor paintball in the cold months). Microfiber cloths are a godsend for paintballers. 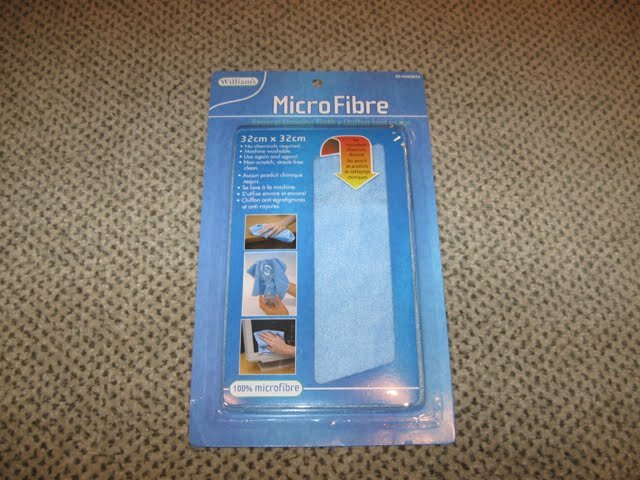 Microfiber cloths are used to clean your goggle lens while minimizing scratches and smearing, and can generally extend the life of your lens. 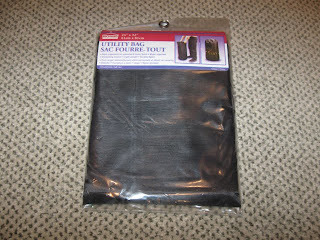 With replacement thermal lenses costing $35 or more, a microfiber cloth is a great investment. 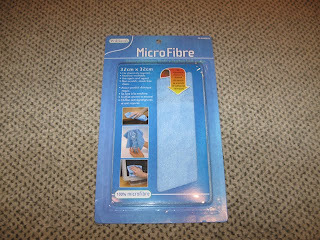 Major chain stores sell microfiber cloths for $5 or more, while buying one with a Dye logo on it from a paintball store online can run you a good $10. 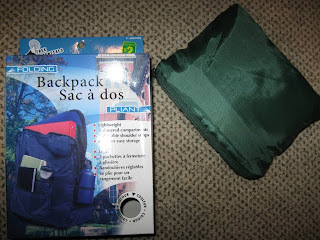 The one below can be had from Dollarama for a cool $1. Next I found some nice HeadWear brand bandanas in the accessories aisle, again for a buck. 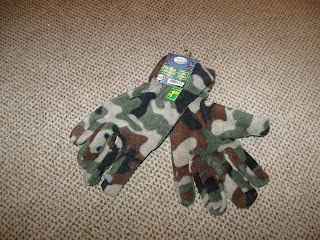 They have woodland camo version, or a sort of urban/winter camo as well if that's what you're looking for. Bandanas are great for keeping paint out of your hair, or keeping sweat from running down into your paintball goggles, where it can fog them up. These bandanas are so cheap you could also buy a few to cover up and camouflage parts of your gear (wrap them around the stock or handguard on your marker, etc). Just in case you were wondering when you scanned the picture below, YES those are indeed gardening gloves! When considering paintball gloves for woodsball, what's important is that they protect your hands from scratches and cuts from branches and gravel, and allow you to grip your marker in all conditions. These gardening gloves have silicone beading all over the palms and undersides of the fingers, meaning that no matter how wet your hands get, your marker will practically stick to your grip anyway. The silicone also provides a measure of anti-puncture protection. 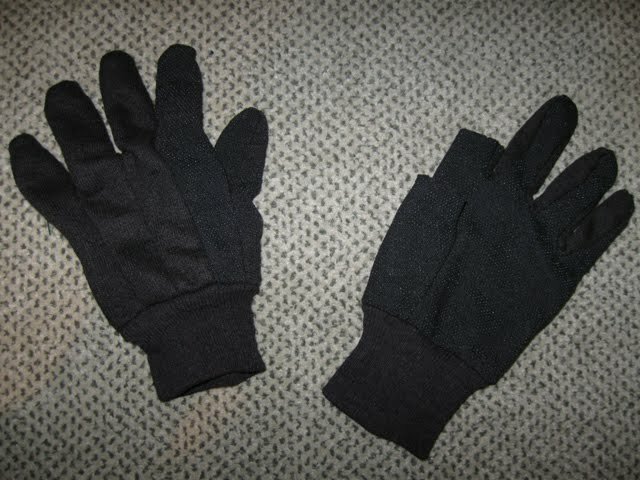 And with them costing only $1 a pair, you wouldn't have to agonize over whether you should cut the fingers off or not! If you've ever played with an electronic marker or hopper, then you know how intense play can really eat through batteries. And sometimes rechargeable batteries won't cut it (for example with the Invert Halo Too loader). Luckily, all kinds of batteries are available at Dollarama. 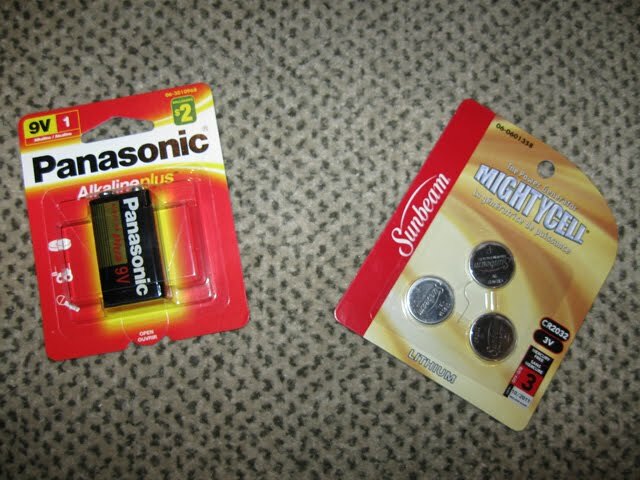 Name-brand batteries from Panasonic and Sunbeam, of all shapes and sizes, are usually near the cash register. Alkaline batteries are best for paintball equipment, and Panasonic 9V alkalines can be had for $2 each. A pack of 4+1 Panasonic alkaline AA batteries are available at a cost of $2, while general-purpose batteries by Sunbeam will set you back $1 for a pack of 4. 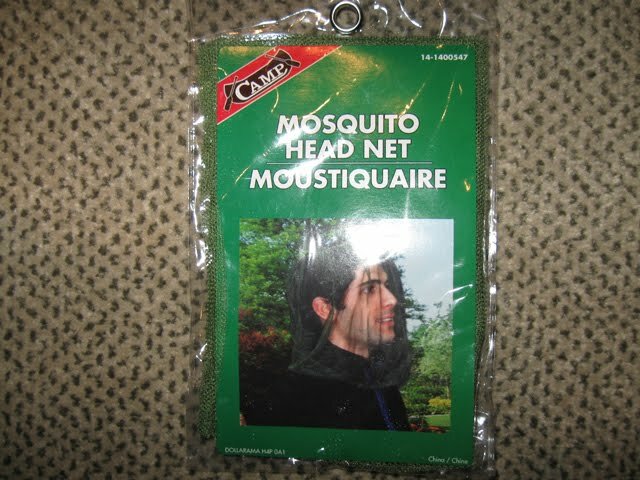 Anyone who's spent more than 2 minutes in a netted deadbox in the middle of the woods will tell you that a mosquito head net is a great thing to have in your cargo pocket. One dollar! 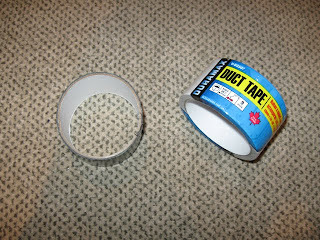 Of course duct tape is a very useful thing in a lot of situations, and woodsball play is one of them. 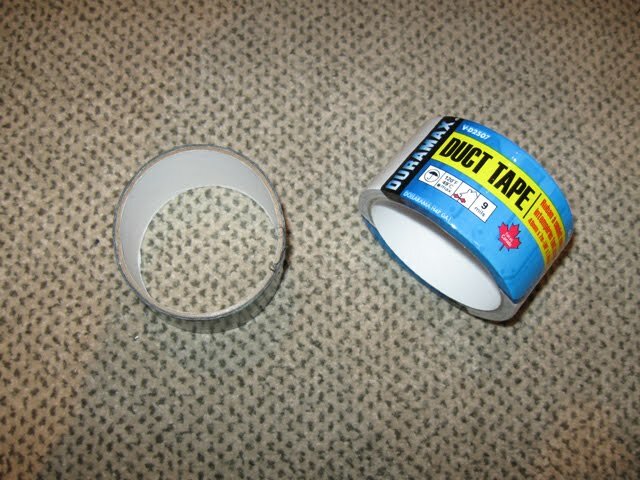 For winter games, you can use white duct tape to camo your marker and equipment. 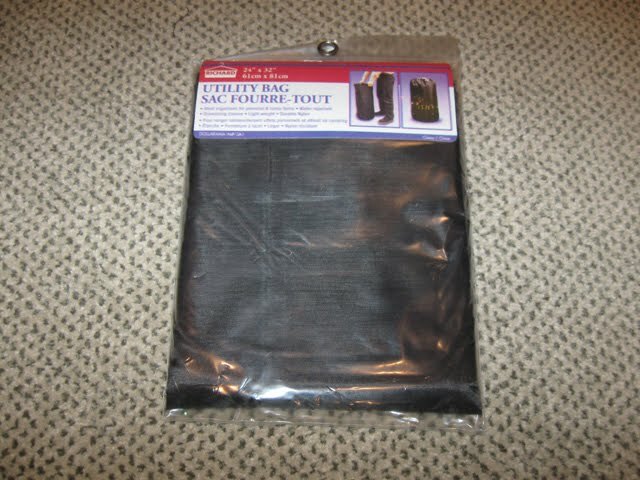 Black duct tape also comes in handy for wrapping your remote line - it makes a decent cover that you can just rinse under water and dry, with none of the hassle of removal and machine washing required with cloth ones. This nylon bag is great for throwing all your dirty gear into after a game, thereby keeping your car clean on the drive home. $2 gets you this folding green knapsack that can compact into a pouch the size of a wallet. This can be useful to have for big games, when you may need to carry things around with you for your team for a couple hours (like objective items in a scenario game). 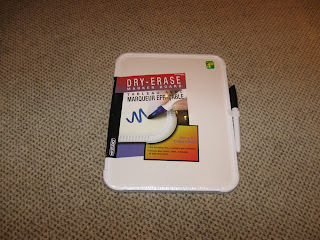 Last but not least, Dollarama carries a small whiteboard with a dry-erase marker. You can tuck one of these into your gear bag so you can talk strategy with your team before a tournament or big game, while drawing it out. There are plenty of other things at the Dollar Store that can make your game a little more convenient: Snack foods, drinks, washcloths for cleaning off after a hit, etc. Take a walk through your local store one day, and look around. If it's something that will make your day at the field more convenient, you'll know it when you see it. I'll be posting another Dollar Store feature on Grey Ops during No Money November, showing even more paintball-related items available at Dollarama to give you some more ideas. All this is to show you that you can find cheap paintball gear in some of the unlikeliest of places. Keep an eye out!